After finishing secondary schools or high school, prospective trainees can pick from a variety of apprenticeships at the University of Stuttgart. They can choose from workshops, laboratories, libraries and many other University of Stuttgart facilities. 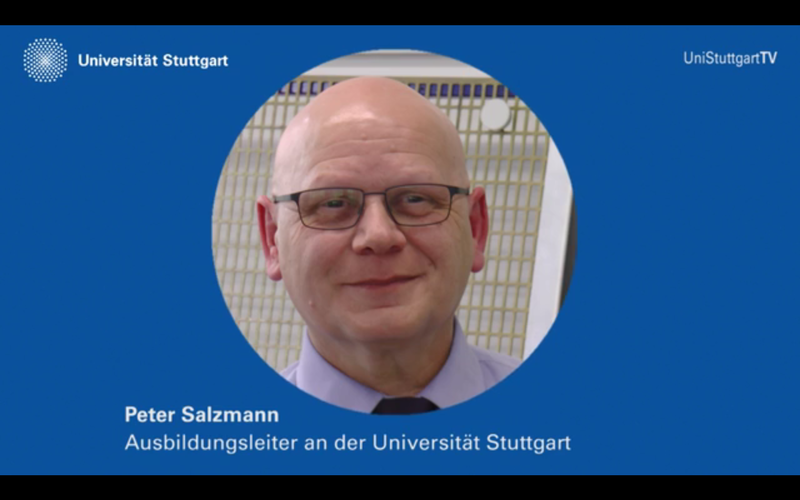 University of Stuttgart – a future-oriented space for your vocational training! The University of Stuttgart is a special place for vocational training. The university has developed into a respected, future-oriented place where leading-edge science gets done. Its more than 150 institutes spread over ten faculties, have over 5,500 employees and with approximately 28,000 students make the university an important partner and player in Germany’s Baden-Württemberg high-tech region. Research is a field that offers a future-oriented environment for training young people. By working on innovative international research projects with industrial applications, our trainees acquire real-world practical skills. They obtain their training in small teams supervised by an instructor with continual feedback that lets the trainees gauge their own progress. Besides the vocational training, the university as employer offers its apprentices supplementary offerings [de]. For example, every year for orientation purposes, we stage a Welcome Day. Beyond that, all trainees work under personalized supervision and receive special support in each stage of preparing for the subject-specific exam. The Youth and Apprentice Representative [de] organizes special events, such as excursions and barbecues on an ongoing basis. At the moment there are no apprenticeships on offer. Training pay [de] is governed by TVA-L BBiG; the vacation entitlement amounts to 29 days per calendar year. On the Stuttgart Chamber of Commerce’s Training Materials Development website, you will find the schedules for written tests [de] in the vocational-technical occupations.